Gill is an experienced business mentor and provides expert support and practical guidance on governance, strategic and operational issues. Originally an HR professional, she has had more than twenty years commercial experience with corporates, utilities in the UK and Europe, charities and social enterprises. 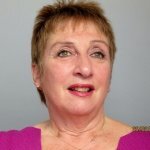 Gill is a down-to-earth General Manager with a wide-ranging consultancy background, having worked across the spectrum from large organisations to start-ups. She has been a Non-executive Director on a NHS Trust and several Housing Associations as well as a trustee Director of a £2bn+ pension fund. Gill has worked with the Prince’s Trust since 2000 as a Business, and now a Next Steps, mentor.